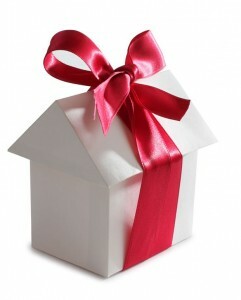 You are here: Home / Articles / 8 Tips when buying real estate. 8 Tips when buying real estate. Often repeated and is considered a fact; buying real estate is one of the biggest investments most of us ever make. But for a percentage, what should be one of the most satisfying and happiest of times can turn into a nightmare. By simply following the tips below you can greatly reduce your chances of making a wrong decision and improve your chances of finding the right property to suit your needs and wants without trauma. Research the area in which you wish to purchase. Become aware and knowledgeable of real estate values in your chosen area. Always remember: “For sale prices” can vary greatly from and do not necessarily reflect “Sold prices”. Determine your budget. Don’t overstretch yourself. Borrow only at a level that you can comfortably afford, at any time interest rates can rise. It is always prudent to set your repayments at least one to two percent below what you can afford. Allow for sudden rate changes. When you find a block of land or home you like, visit it, or at least the street and area, on different times of the day and different days of the week. This may save you from unwanted surprises before it is too late. When buying a home, inspect the home more than once; it is not until the second of third inspection that you start to see details. 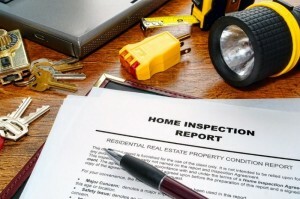 Don’t inspect only at “Open Home Times” when often many others are “Looking” at the same time. The decision to buy should be made without such distractions. Obtain an identification survey for the property, carried out by a registered Land Surveyor. This will identify the property boundaries, determine the location of the dwelling on the allotment with distances from boundaries; and for those ‘daredevils’ amongst us who buy sight unseen, ask the Land Surveyor to include photographic identification of the building to confirm that it is the same as the one represented by the agent. Mistakes can and have happened. You may choose to check the boundaries yourself, however this is risky as any anomaly regardless of size may not be picked up. For peace of mind you may consider ‘title insurance’. Your conveyancing professional will provide more on this. Obtain a Pre-Purchase Inspection Report from a suitably qualified Building Inspector prior to signing a contract. Don’t use a “mate who knows about houses, or has worked in the industry”. Ensure you receive a “Pre-Purchase Inspection Agreement”, in accordance with AS 4349.1. This Pre-Purchase Agreement outlines the scope, content and cost of the report. Read all the conditions and scope of this agreement prior to engaging the building inspector. It is common that most purchases ask for a Pre-Purchase inspection after they have negotiated the price and signed a contract. It is suggested that by spending under $500.00 before you ‘place an offer on the table’ and get the inspection report done first, you will have a much clearer picture of the property and it’s true value BEFORE YOU PLACE AN OFFER AND SIGN THE CONTRACT. In some cases the vendor may have had a pre-sale inspection done by a qualified building inspector. If this is the case, presented is a good opportunity to go over the report and discuss the findings. Cross check the “as constructed” on site against the “as approved” on council records. Make sure you are not buying or inheriting the previous owners misdemeanour’s in the form of non-approved works such as additions or renovations. If you are unable to do this for yourself engage the Building Inspector to include this as part of his/her report. (In most cases you will need to obtain the current owners permission to view these records). DO NOT PLACE AN OFFER OR SIGN A CONTRACT before having it reviewed by a trusted conveyancing professional. When you are ready to make an offer on the property of choice, the Agent will be seeking this ‘in writing’. It is important to know that this offer will form the ‘Contract of Sale’. Accordingly it is important that all ‘conditions’ upon which the offer is made are included in the first ‘written’ offer presented. If you have followed the tips discussed then hopefully you are in the lucky position of presenting the offer with little, if any, conditions, as you would have already completed your building inspection, obtained finance approval from your lender and completed other inquiries as mentioned. Unconditional offers are very attractive to Vendors and more likely to be accepted over and above a ‘conditional’ offer at the same purchase price. If you must have ‘conditions’ on your offer/contract, because you haven’t completed prior inquiries, as discussed, for your protection it is important that these conditions or clauses MUST be correctly worded. This provides protection for you, the Purchaser, to ensure that they can be easily relied upon to bring the Contract to an end, should the outcome of inspections, inquiries or searches be unfavourable. • Subject to a satisfactory building inspection. • Subject to finance approval. • Subject to satisfactory survey check. • Subject to Council Approvals and Compliance. You may be surprised to learn that not all ‘building inspection’ clauses are the same and some provide less protection for the Purchasers than others. Clauses that use the terms ‘Structurally Flawed’, ‘Unsafe’ or ‘Unsound’ are more difficult to rely upon and accordingly are more beneficial to the Seller of the property rather than the Purchaser. A structure may have several major defects which would be costly to rectify, however would not necessarily cause the structure to be classified as ‘unsafe’ or ‘unsound’ and accordingly a Purchaser should not accept building inspection clauses which use such terms. It is no secret that real estate agents are working for the vendors to generate a sale. With this in mind it is vitally important that you obtain advice from your conveyancing professional during the drafting of your offer/contract, as discussed previously. Many words of persuasion have been used to entice a potential purchaser to ‘sign on the dotted line’. Despite how excited you may be or how enticing the property is, buy some time, do your homework and have the offer/contract checked out before signing. The contract should be the last document you sign and hopefully one without any conditions. DO ALL YOUR CHECKS FIRST. It sounds like a really smart idea to “Obtain an identification survey for the property, carried out by a registered land surveyor.” I would certainly want to know the exact boundaries of our property before making any buying decisions. That way we can know where to build a fence around our home. Thanks for the 8 tips! Thank you Jack for your positive comment. I’m hoping to buy a new home this summer, so I will make sure to follow these tips throughout the process. Tip 5, to hire a land surveyor, is something that I would have forgotten to do. Thanks for these tips! Buying real estate is about more than just finding a place to call home. Investing in real estate has become increasingly popular. It’s really a nice and helpful piece of info.